There has been heated debate between those who call for higher “sin taxes” and those who blame increased taxation for the recession. The Health Promotion Levy or “sugar tax” has been highlighted and questions are being raised about whether this new tax will really change South African dietary habits (Can higher taxes help the economy? Daily Maverick, 17 September). But the real question is what is being done with the tax that is being collected – close to R800-million already since implementation on 1 April, according to Mpho Legote, Treasury’s director for VAT, excise duties and sub-national taxes. The potential good that can be achieved by investing this huge (and growing) amount correctly is very exciting to contemplate. 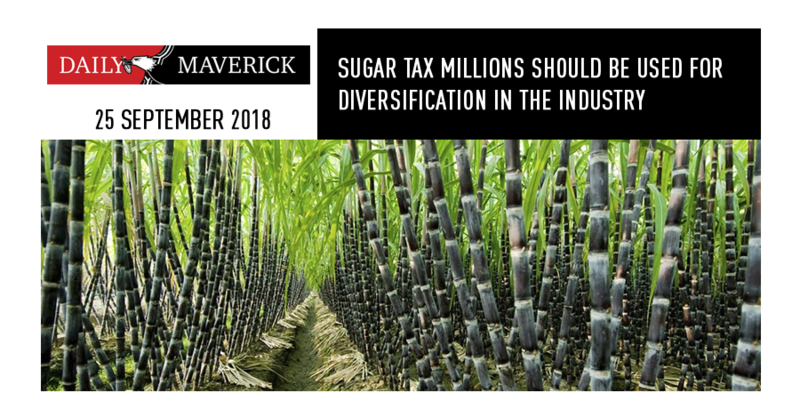 South Africa’s sugar industry employs 80,000 people directly and indirectly provides a livelihood for 350,000 others – and the impact of this tax will be felt all along this supply chain, if it has the government’s desired effect and reduces the demand for sugar. So far the government has not acted decisively in supporting diversification, which is the way of the future when it comes to sugar. Sugarcane is an enormously versatile crop that can potentially deliver much more than sugar to sweeten food and drinks; so a reduced demand for sweetened drinks need not spell disaster for the industry. Sugar cane has multiple potential uses, from ethanol to industrial chemicals and electricity generation, and the industry has the potential to become a booming job-creator. But while that is the potential, the reality for the sugar industry in 2018 is extremely bleak… and the sugar tax is only one of its concerns. This vital, strategic and labour-intensive South African industry should be expanding and creating more jobs, but it is instead buckling under a surge of subsidised and dumped imports… and the result is that it is shrinking and putting people out of work. 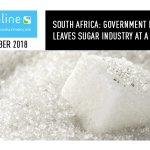 The situation is so serious that when the SA Sugar Association (SASA) applied in June 2018 for higher protection against imports, it said the industry “is in a state of rapid decline”. Record import levels had brought the industry to a tipping point, it warned, and if the persistent flood of duty-paid imports is not urgently stopped, the industry would be destroyed. But in the meanwhile, the state coffers have been swelled with almost a billion rand since April. It seems only right that a tax that originates from the sugar industry should be applied to explore ways to enable this huge employer of South Africans to keep up the good work. 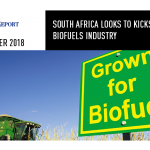 That extra tax should be used to set up the required structures to roll out a diversification strategy, starting with diversification into biofuels.